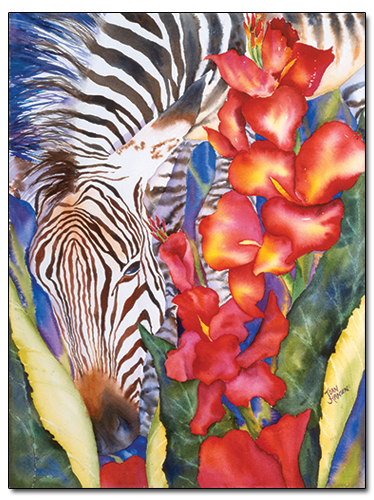 The artist created this watercolor painting for an art contest at the San Diego Zoo. The theme was "Celebrate the Colors of the Wild." She combined the zoological and botanical collections in the same painting, and won an award for best interpretation of the theme. A. Image: 29 x 21-7/8"